One of the most happening home decor trends at the moment is Desert-themed decor. Mandi Gubler of Vintage Revivals walks through how you can also bring simple, and modern Desert touches to your home. One of the hottest trends in home decor is embracing the colors and vibes of the desert in a modern way. To get this look you’ve got to think warmth. Warmth in colors like burnt orange, rust, beige, soft pinks, and whites. And warmth in materials like copper, brass, leather and rattan. 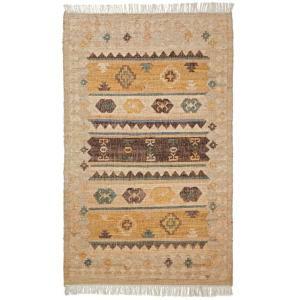 I’ve scoured HomeDepot.com for some of my favorite desert themed products that any wilderness lover in your life would be happy to have! You can go full desert, or you can add in subtle punches, let me show you how! Let’s start in the kitchen. We all know and love The Home Depot for their kitchen cabinets, tile selections, and plumbing fixtures, but did you know The Home Depot has an entire department full of small kitchen appliances? Let’s be honest, could there be anything more wonderful than warm cookies and warm metals? 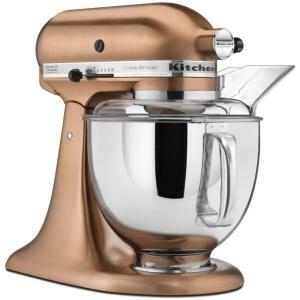 Every kitchen needs a KitchenAid Mixer, but this custom Metallic 5 Qt. Satin Copper Stand Mixer is everything and more! 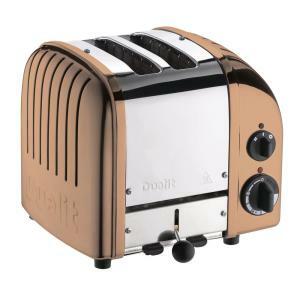 This Dualit 2 Slice Toaster has a great vintage vibe and is the perfect shade of copper. One way of embracing the open air of the desert is with open shelving in your kitchen. Adding beautiful and functional cookware is a must. This line of lidded bakeware from Revol will look amazing on any open shelf! This quick bedroom makeover is the epitome of embracing the desert. 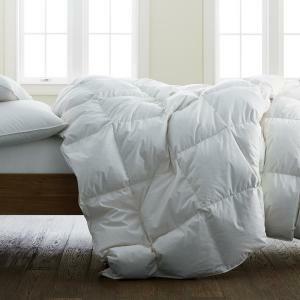 The soft white down comforter from The Company Store is (in my humble opinion) a bedding staple. 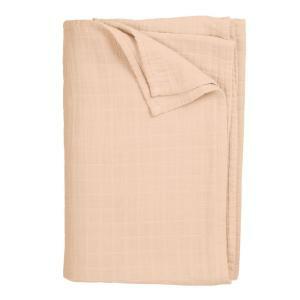 We used it in our master bedroom recently and it’s so lofty and warm and the best part is that it’s machine washable! The quilt underneath the down comforter is The Company Store’s signature quilt in Mushroom. It’s such a great shade of beige and adds just the right amount of muted color. 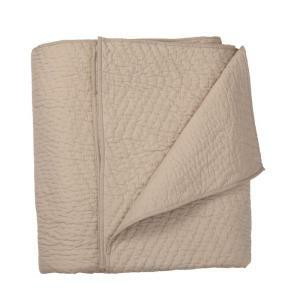 The gossamer throw on top is also from The Company Store. The color is called Dreamcicle. I love the contrast between the mushroom colored quilt and the punchy peach of the throw! 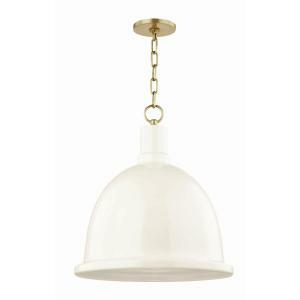 The bedside light is Blair Aged Brass Pendant from Mitzi by Hudson Valley. It’s meant to be hardwired to a ceiling, but we installed a plug at the end and hung it by a shelf bracket. It makes such a huge statement and I love the warm off white color! I am a plant lady through and through, but my daughter isn’t great at keeping them alive yet, so I brought in a faux Ginkgo tree to add some greenery. 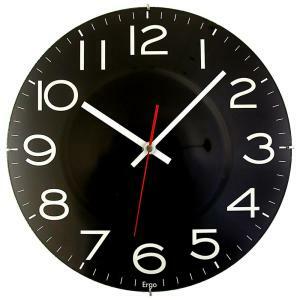 Doesn’t it look so cute with that retro Timekeeper wall clock? The rug is the perfect laid back boho. Because its made out of sisal, it’s extremely durable and hides dirt well! I love the little bit of greenish blue mixed into the pattern, and at only $107 you can’t go wrong! Everyone loves a good piece of statement art. This print was taken in Snow Canyon State Park (in the actual desert!) and was an easy, quick DIY project. 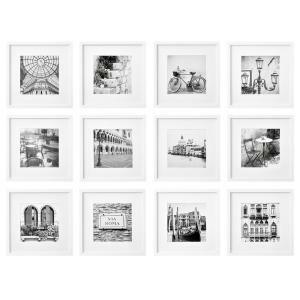 Especially because the awesome gallery wall frame kit did all of the heavy lifting! It even comes with a true to size template, which you can tape on your wall with guides for where to put your nails! You will look like a gallery hanging genius! 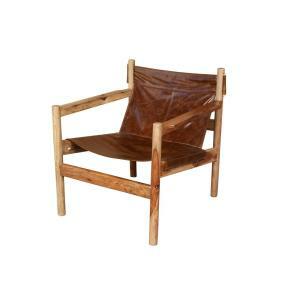 The leather sling chair is quite literally the stuff of prayers! I found a similar vintage one on craigslist a few years ago but haven’t been able to use it because the leather isn’t in great shape. 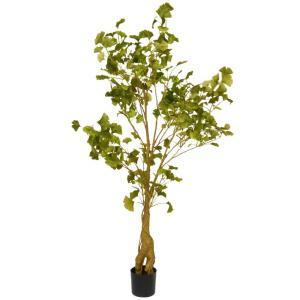 Imagine my giddiness when I found almost an exact replica on homedepot.com! It’s laid back and cool and the genuine warm leather is a must have material for capturing our desert vibe! 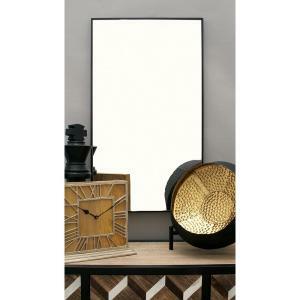 Every room needs a mirror, and this simple modern black rectangular mirror is such a great way to finish off the space! It looks so great next to the DIY wooden dowel planters! Thanks for following along with this fun gift guide friends! Happy holiday to you and the lucky desert lover in your life! Find more home decor ideas on The Home Depot Blog.